The Reds defender reaffirmed his commitment to the club, just 18 months on from his previous renewal, by putting pen to paper at Anfield on Saturday morning. The development is the latest milestone in a fledgling career that has already included 67 Liverpool appearances, a Champions League final, participation in a World Cup, full England honours and a goal for his country. 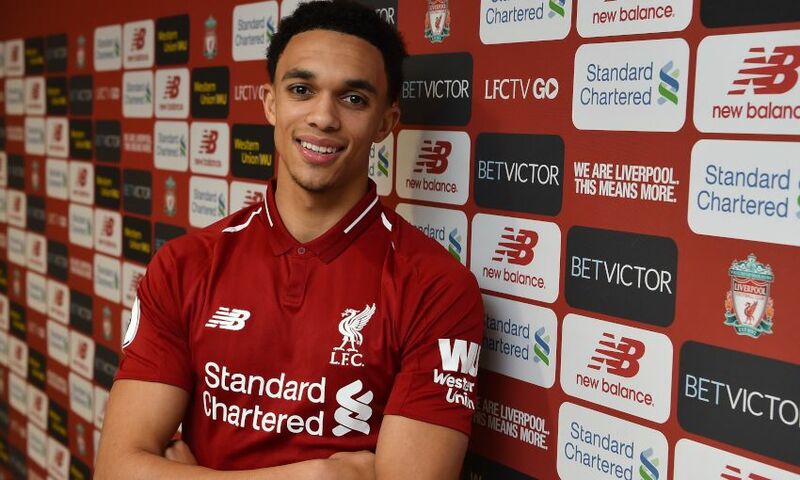 Alexander-Arnold signed this extended deal as a more mature person and player, according to Klopp – and one who rightly commands the respect and admiration of his coaches, teammates and fans. “I’ve spoken a few times since I’ve been here about Trent signing new contracts, but I have to say this one is a little different,” the manager told Liverpoolfc.com. “The previous ones he signed them maybe as a ‘boy’ – and I don’t mean that in any way to be disrespectful to his importance at that particular point of his life, more about his age, but they were different to this. “This one is very much about ‘the man’ and the player he has become, the status he now has both with us and in the game, and it is thoroughly deserved. Since he last signed for us he is now established in our team, rather than a surprise inclusion – or one where people say: ‘Oh, that’s nice.’ He has played and scored for the England senior team and been to a World Cup. “But with Trent, the most exciting thing about him is that the questions you ask about him always have a very positive follow-on. By which I mean, ‘Is he a fantastic player?’ Yes! ‘But can he get even better?’ Absolutely – and he will! “He is such an amazing person, but I think sometimes maybe a little under the radar for his quality and technical abilities. He is so respected and admired in our dressing room, you would not believe. I know coming from the city brings extra pressure and burden, but he embraces this and thrives off it. “Liverpool supporters love him as ‘one of their own’, although I have noticed he doesn’t have a song from the fans yet, so maybe that is something they can work on. Wow, does he deserve one. “Trent is one of the most relentless professionals I have met when it comes to focusing on getting better each and every day. This is not to compare with any legend past or present, because he will make his own story.